At the Bayview Retirement Village, the elderly are expected to grow old gracefully, enjoying their final years in peace, quiet and comfort... but not if Tom (Graham Crowden) and Diana (Stephanie Cole) have anything to do with it! TMeet two elderly eccentrics who refuse to put up with the appalling food and condescending staff: in the hilariously cynical BAFTA-nominated comedy series that won Stephanie Cole a British Comedy Award in 1992..
At the Bayview Retirement Village the elderly are expected to grow old gracefully, enjoying their final years in peace, quiet and comfort...but not if Tom (Graham Crowden) and Diana (Stephanie Cole) have anything to do with it! 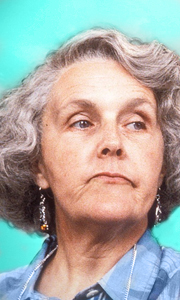 Meet two elderly eccentics who refuse to put up with the appalling food and condescending staff, in the hilariously cynical BAFTA-nominated comedy series that won Stephanie Cole a British Comedy Award in 1992. Ep..
At the Bayview Retirement Village the elderly are expected to grow old gracefully, enjoying their final years in peace, quiet and comfort…but not if Tom (Graham Crowden) and Diana (Stephanie Cole) have anything to do with it! Meet two elderly eccentrics who refuse to put up with the appalling food and condescending staff; in the hilariously cynical BAFTA-nominated comedy series that won Stephanie Cole a British Comedy Award in 1992.Ep..
At the Bayview Retirement Village the elderly are expected to grow old gracefully, enjoying their final years in peace, quiet and comfort... but not if Tom (Graham Crowden) and Diana (Stephanie Cole) have anything to do with it! Meet two elderly eccentrics who refuse to put up with the appalling food and condescending staff; in the hilariously cynical BAFTA-nominated comedy series that won Stephanie Cole a British Comedy Award in 1992. ..